Paul instructs us to pray without ceasing (1 Thessalonians 5:17). 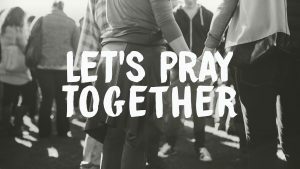 Our tribe will seek God in prayer together to deepen our relationship with the Creator. We will ask Him for the healing of the sick among us, victory over difficult challenges and restoration of lost fortunes. We will pray for our leadership at the church and in our nation. Let’s pray together as we trust God for His favor.